Are you looking for some items to decorate your room? 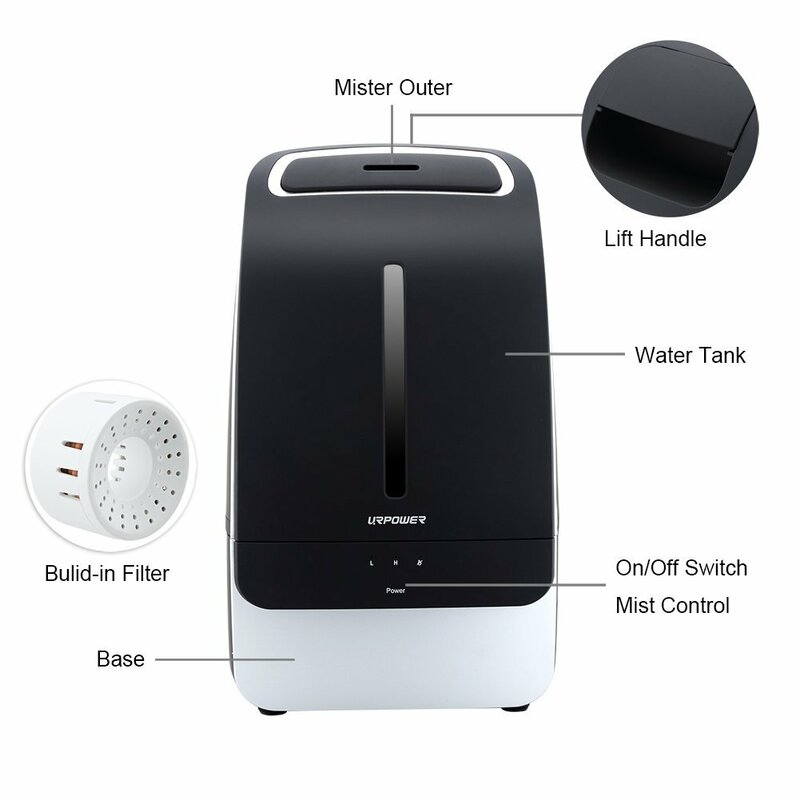 Why not get a URPOWER 5L Ultrasonic Cool Mist Humidifier now? 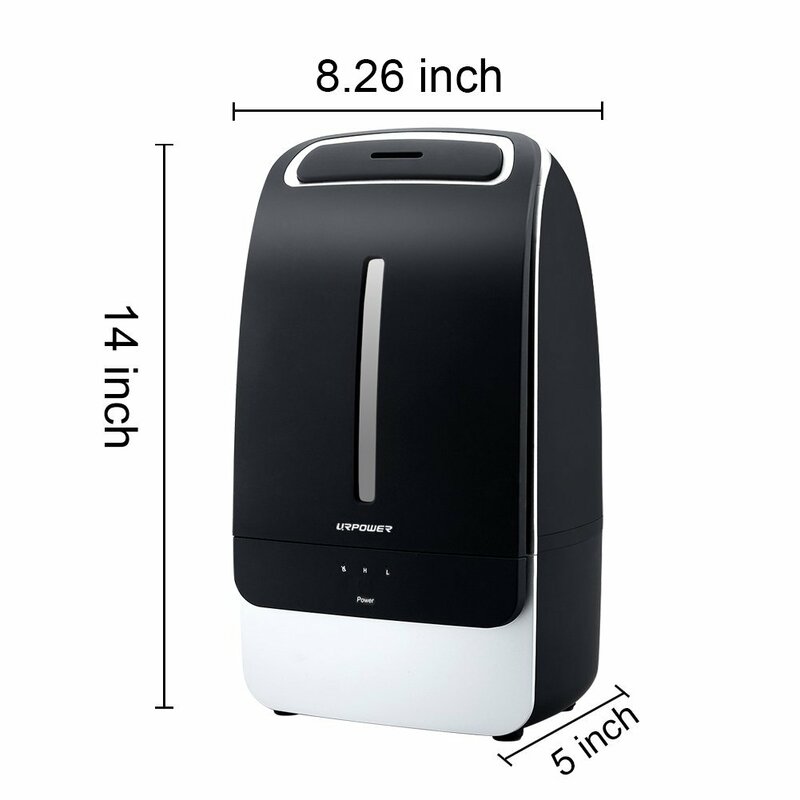 URPOWER 5L Ultrasonic Cool Mist Humidifier use a mature Ultrasonic Technology with sleekly body design, make humidifier to be not only functional but also decorative. This humidifier has super mist volume and the max mist volume can reach 350ml/h. 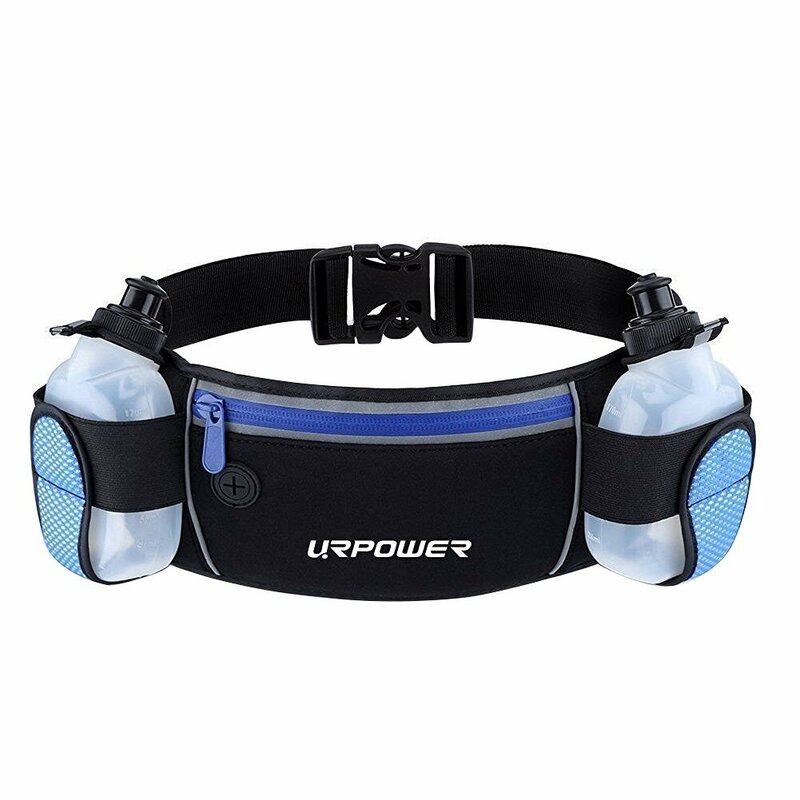 It has a large capacity using 5L of water which will allow for a full night of humidifying. 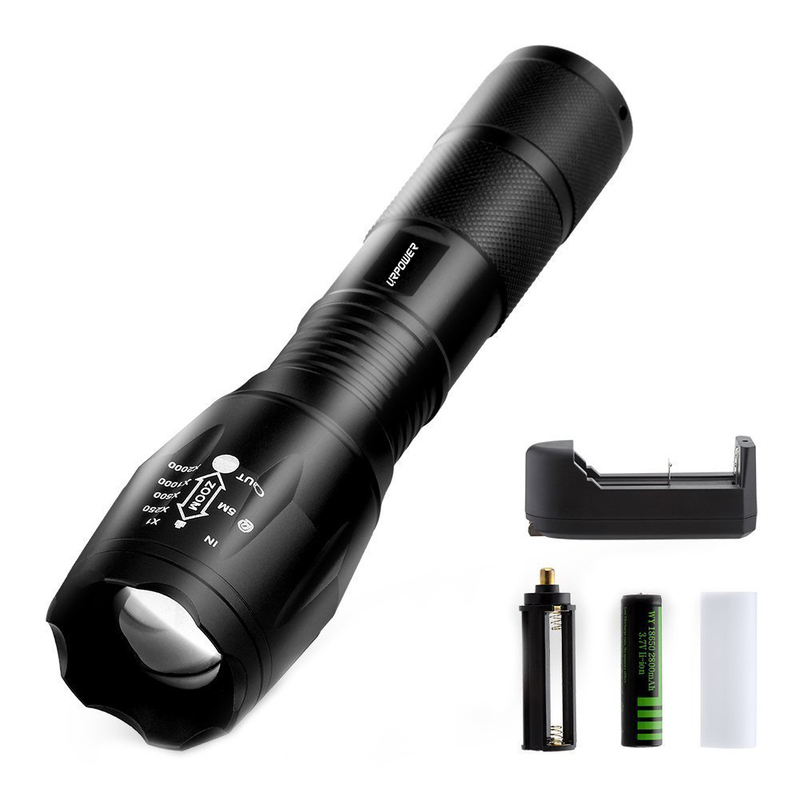 You do not need to wake up in the midnight to add water. 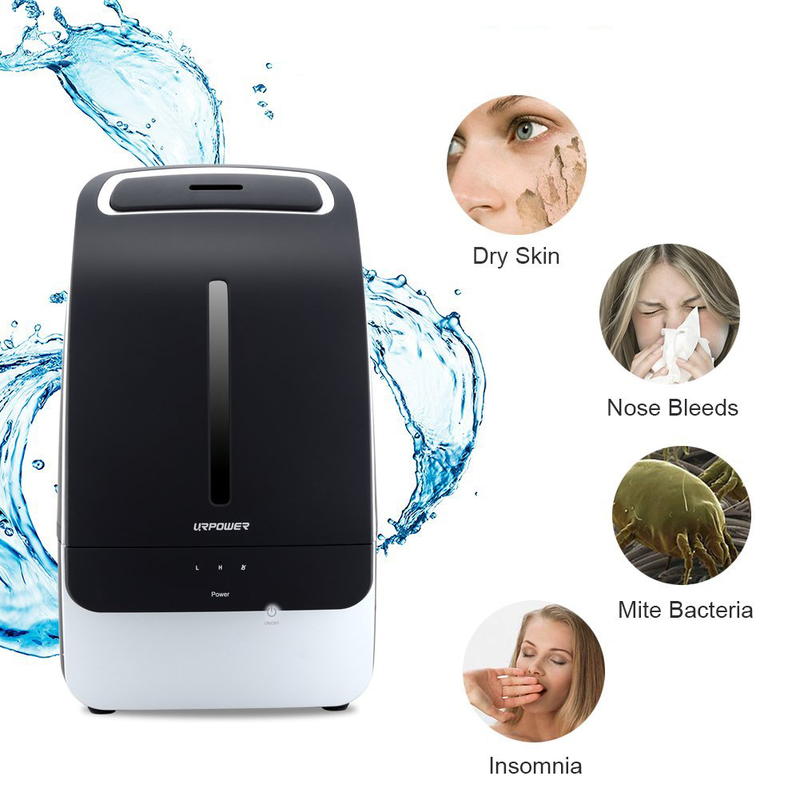 Just as we know that, the humidifier emits cool water vapor into the air to put moisture back into the air to help with dry skin, chapped lips, bronchitis, sinus problems, nose bleeds, etc. 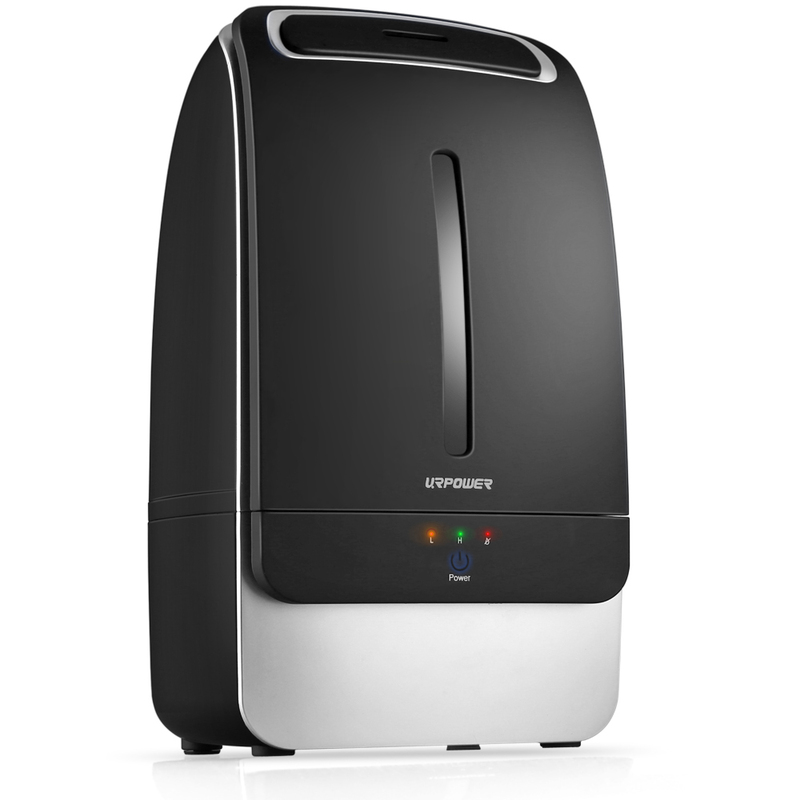 For all mentioned, just get a URPOWER 5L Ultrasonic Cool Mist Humidifier today! Humidify with cool boiled water or distilled water. Clean the transducer and water tank once a week. 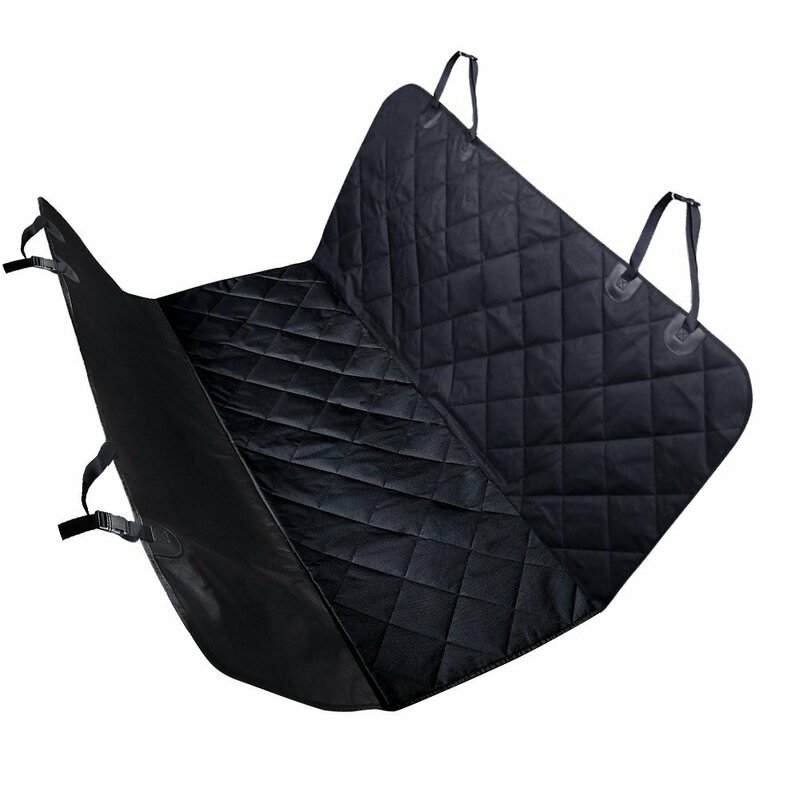 Replace the used water in the water tank and water base frequently to keep the unit clean. During the storage, clean, mop up or air-dry all parts and then place them in the original package. Ideal for homes with forced air heat.